'Like the Hebrides, Orkney is in many ways a world unto itself. Within a couple of days arrival, Brian remarked that the people even looked different from Scottish folk. Trying to generalise, we agreed that, first, they were on average taller and, secondly, that they were darker, though dark in the sense that Russians or Germans can be dark, not dark in the pale-skinned way that many Irish and Glaswegians are. 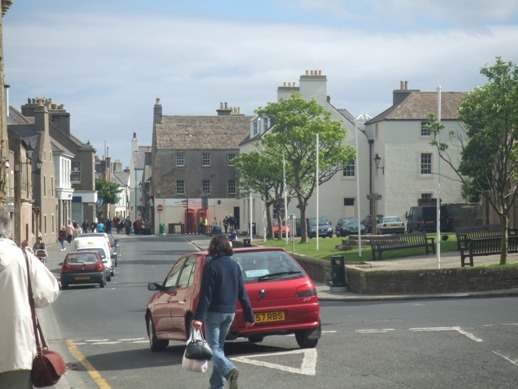 Stromness, with its narrow, winding streets, looks more like a Baltic than a Scottish town. The food in the shops and restaurants was more varied and sophisticated than is normal in rural Scotland. The Orkney ice-cream was of positively Italian quality. We were abroad.' Ian Mitchell (2004:37). To the north of Scotland, across the racing tides of the Pentland Firth, the fertile Orkney Islands contrast verdantly with the wilds of Caithness and the Scottish Highlands. Three ferry routes compete to take you from the Scottish mainland: the first two (Scrabster-Stromness and Gills Bay-St Margarets Hope) run all year round passenger and vehicle services; the third is a short sea crossing from John O'Groats to Burwick for passengers only running only in the summer months. The short sea crossing largely benefits the coach trade providing one day (or half-day) visits to Orkney but it is also a link in the 'Orkney Bus' service from Inverness to Kirkwall which provides a pleasant and convenient way for people without cars to visit for longer. Flybe flights to Kirkwall, operated by Loganair, are also available daily via Aberdeen, Edinburgh, Glasgow, Inverness and Lerwick (Shetland). Orkney is one of the two most northerly counties of Scotland. Despite its location ('as far north as Bristol Bay in Alaska', according to Fenton*), the climate is comparatively mild although winter gales may make this difficult to believe on occasion. 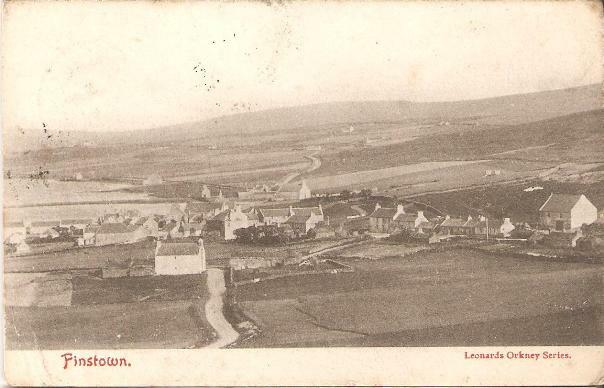 Orkney became part of Scotland in 1472 when the Scottish parliament annexed the Earldom of Orkney and the Lordship of Shetland, following a failed attempt by King Christian III of Denmark and Norway to make up the dowry of his daughter Margaret for her marriage to James III of Scotland. Orkney represented 50,000 florins of the dowry pledge. The Orkney islands (the locals do not generally refer to them as the 'Orkneys') seem remote and insignificant to anglocentric commentators. But, throughout history, they have been an important hub of transport and politics between Scandinavia, Britain and Ireland. Norse settlers had a significant impact on the islands and their heritage still leaves significant traces in the culture and landscape. "Orkney stood out like a fertile jewel amongst these northern lands, and became the heart of the Norse kingdom in northern Britain to such an extent that some of the Mainland place-names are seen from the viewpoint of Orkney. The most northerly county in Britain is Sutherland, the 'southern land' ..."
"(The`peats) ... lying nearest the moss dyke was called the Moss of Broonalanga, the peats of which when burning gave out a great heat and a strong sulphurous smell, and the ashes were of a deep terra-cotta colour. The peats were difficult to cut owing to there being in the moss what had evidently been the remains of an ancient forest, trunks and branches of a large size, bearing the name of scroggs, being found deep buried in the moss." 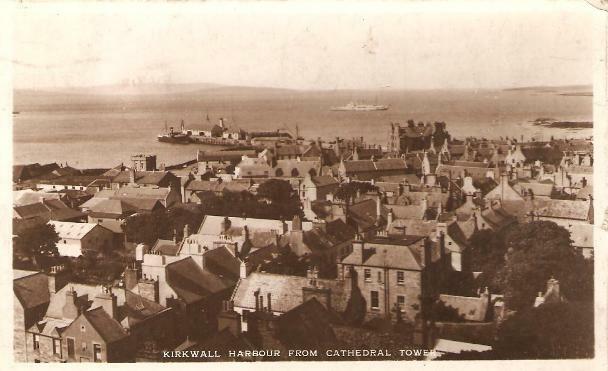 Kirkwall is the capital of the Orkney islands. Its most significant building is the magnificent St Magnus Cathedral founded in 1137 by Rognvald III and built in the Norman style. For the fineness of its pasture and arable land Papa is not excelled by any of the other islands. The scenery in the vicinity of Stromness is the finest in Orkney. Alexander Fenton (1978) The Northern Isles: Orkney and Shetland, re-published by Tuckwell Press in 1997. Ian Mitchell (2004) Isles of the North, Birlinn.